Children's Safety Vest. 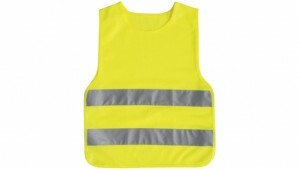 Be visible in traffic with this children safety vest. EN471 compliant.